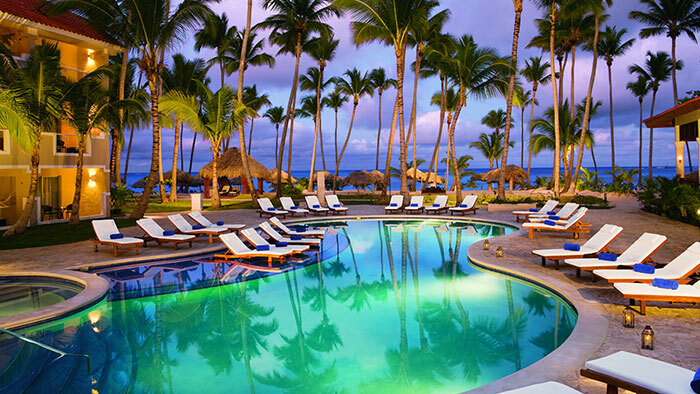 Dreams Palm Beach Punta Cana welcomes couples and families with children to a world of Unlimited-Luxury®, offering an all-inclusive subset to the beautiful beaches of La Altagracia, Punta Cana. This idyllic haven boasts gorgeous beaches, a majestic turquoise sea, lovely pools and tropical gardens. Family-sized rooms and suites offer luxury amenities, private balconies or terraces, flat screen TVs, daily refreshed mini bars and 24-hour room and concierge services. Eight internationally themed restaurants and seven bars, located in stunning indoor and outdoor settings, provide delectable and varied dining options. With so many ways to play, from numerous daytime activities, featuring an Explorer’s Club for Kids and a Core Zone for teens, a world-class spa and fitness center and fantastic nighttime entertainment, a stay at Dreams Palm Beach will be forever memorable. Explore our international array of specialty restaurants at Dreams Palm Beach Punta Cana, where reservations are never required. Choose from eight restaurants: five à la carte dining options, a buffet, a grill and a café. Or enjoy a romantic dinner in your room or suite. Your Unlimited-Luxury®amenities include all meals. Conveinent 24-hour dining options allow guests to enjoy late night bites at the World Café. Or stay in and order room service. It’s all available at any hour day or night. Gluten-free options are available. Do as much or as little as you like at Dreams Palm Beach Punta Cana. After all, it’s your vacation. Relax on our white-sand beach with swaying coconut trees and crystal clear waters. Take to the sea for a windsurfing or a kayaking adventure. Try your luck in our on-site casino, or tee off at a nearby professional golf course. Indulge and invigorate your senses with a day in the Dreams Spa by Pevonia®. Spanning nearly 8,100 square feet, our on-site spa at Dreams Palm Beach Punta Cana offers à la carte treatment options ranging from the traditional to transcendent. The exclusive Preferred Club offers a VIP level of service designed for the most discerning travelers with access to a private club lounge, personalized concierge service and upgraded amenities. Most accommodations at Dreams Palm Beach include Preferred Club privileges. As part of Unlimited-Luxury® guests of Dreams Palm Beach have access to Dreams Punta Cana, Now Larimar and Dreams La Romana. The Sip, Savor & See Dining Experience includes complimentary dinner, drinks and entertainment at a restaurant or bar at a resort of their choice. Guests can utilize the facilities at the resort they are visiting from 6pm to 1am. The experience is only good for dinner via reservations made through the resort concierge. Guests are responsible for the cost of transportation to and from the resort for a maximum of four people per seating. 2009 – The Foundation for Environmental Education has given Dreams Palm Beach Punta Cana the Blue Flag for beaches that adhere to strict environmental standards.